Summer’s just around the corner, so it’s time to start thinking about hiking! And we have the perfect pants for you! It’s no surprise that with a name like My Trail, this Boulder company will have what you need to enjoy the trails. Their Women’s Hike Pants have a comfortable fit that lends itself well to movement, and thanks to the 15% spandex, the durable ripstop nylon stretches to give you the flexibility to climb, pedal, run, row, and walk without any restrictions. The lightweight material is rated at UPF 40 and is water repellant. Whether the trail is the Appalachian Trail, your local mountain hike, the rainforests of Australia, a pristine lake, or the urban sidewalks of your next holiday, these pants will do the trick. 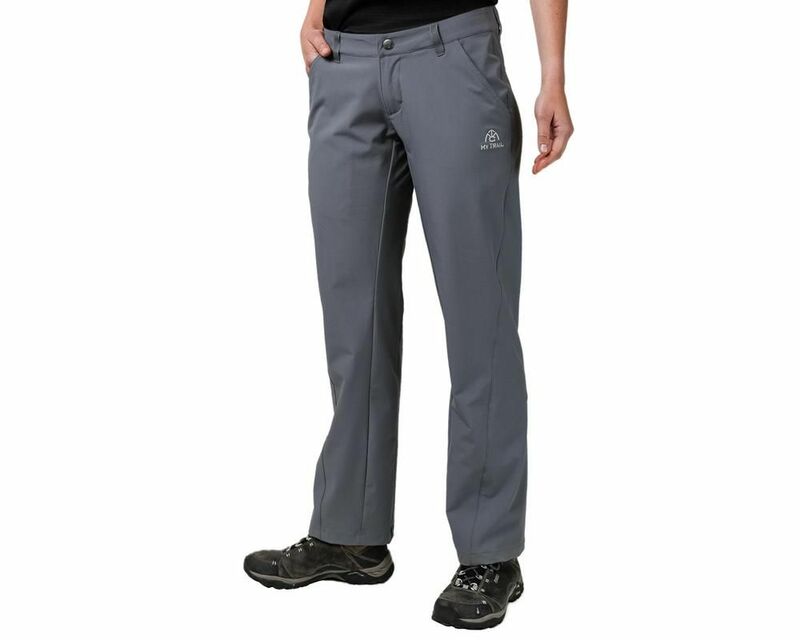 Get your hike on with the My Trail Hike Pants!